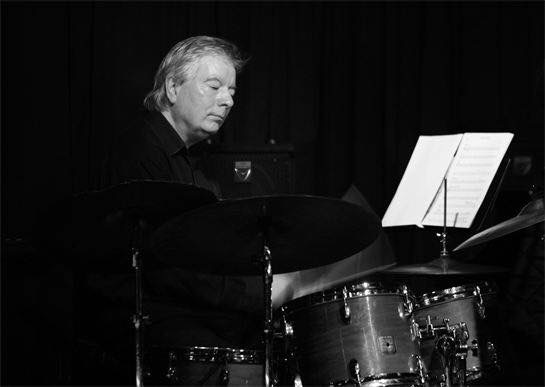 We bid a sad farewell to Bill Kyle, proprietor and promoter at The Jazz Bar, Edinburgh who passed away suddenly on Monday 31st October, 2016. In doing so, we express our deepest felt gratitude for a man who embodied all that is good in music. A tireless enthusiast with unparalleled depth of knowledge of both international and local music scenes, Bill’s warmth of spirit and generosity cemented him as the very best of friends to the music department at Edinburgh Napier University. Over the past decade, as well as providing a venue for exams and student performances, Bill nurtured countless students and alumni by providing a platform and a community from which to develop their musical skills and develop their careers. It is the community that Bill created that is perhaps his greatest legacy – a community built through a dogged belief in its importance to the wellbeing of the music that he loved, and one built on unstinting belief in those that were a part of it. We are proud to have counted Bill Kyle as a friend to the department and our students from both BA and BMus programmes and offer our deepest condolences to those he leaves behind.